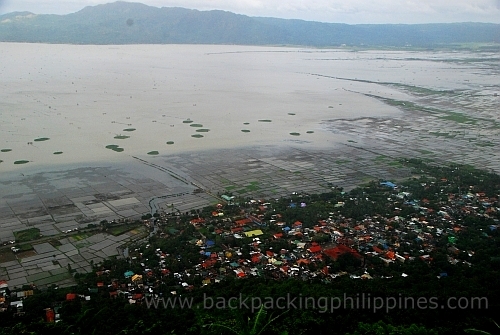 If Paete has the Tatlong Krus on top of Mt. 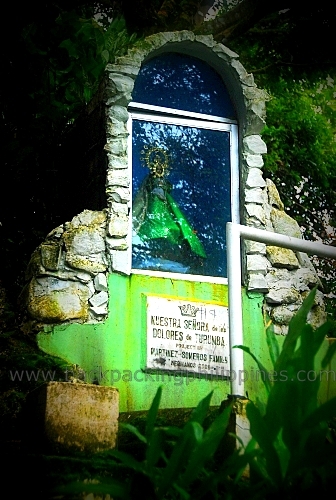 Humarap, Pakil has single large cross on top of Mount Ping-as watching over the town of Pakil, which was once part of Paete town. The Crosses share some history as well as past (and long gone) resentment between the two towns on the demarcation line. 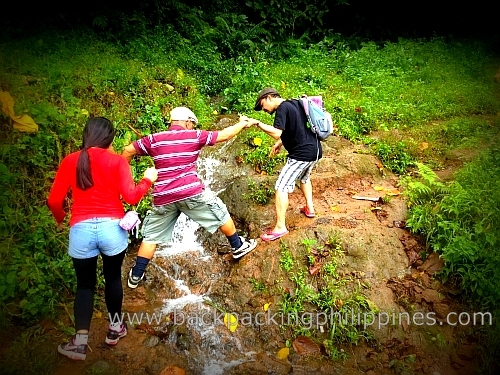 Tutubi initially wanted to trek up Tatlong Krus but later thought of Ping-as with his brother but ended up going there with his septuagenarian father, three of his brothers, nephews and nieces. The Mt. Ping-as Rest Area where you can...rest? 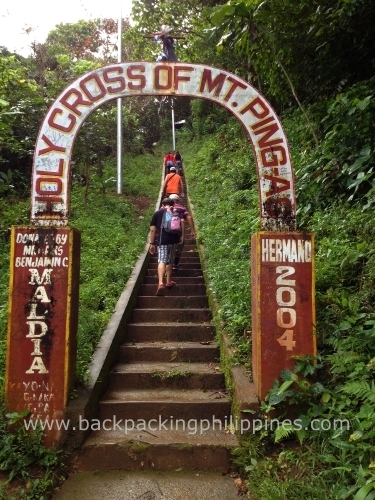 This landmark of Pakil town hosts an annual festivity known as "Ahunan sa Ping-as" celebrated every last Saturday of May, where participants climb up the Sierra Madre mountain to witness the Santacruzan and attend the Holy Mass. 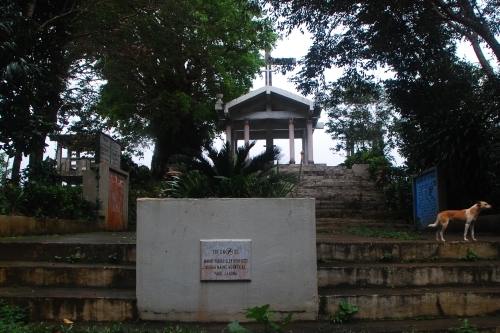 The cross was erected there in 1671 in honor of Fr. Francisco Solier who used to carry a wooden cross as a devotion when climbing up the mountain of Ping-as. The wooden cross was later replaced with a concrete one and a 14 Stations of the Cross were set up along the road/trail leading to the mountain top. 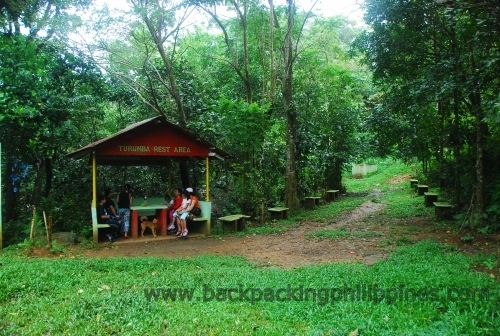 If you came from Rizal via Siniloan, you'll pass by Lerma's halo-halo, Pakil Church, Pakil town plaza, Pakil municipal hall, and Turumba Springs Swimming Pool.